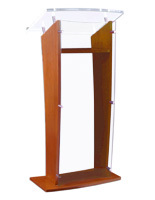 This mahogany podium w/ acrylic panels makes a statement during a lecture whether it's in a church, school, or convention with contemporary styling. 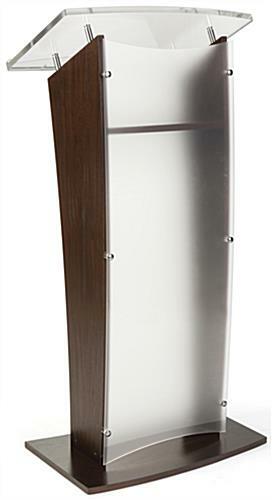 Pulpits such as this one with a striking blend of wood and frosted styling ensure all eyes are on the speaker. 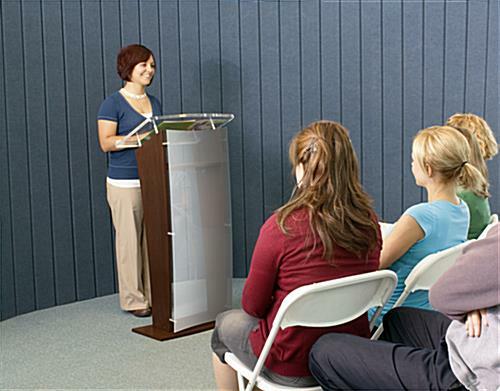 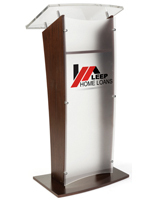 This podium w/ acrylic panels and mahogany detailing is frosted at the front to give the presenter a little privacy. 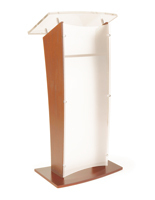 The assembly includes a convenient interior shelf to house coffee, water, and lecture notes. 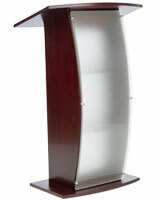 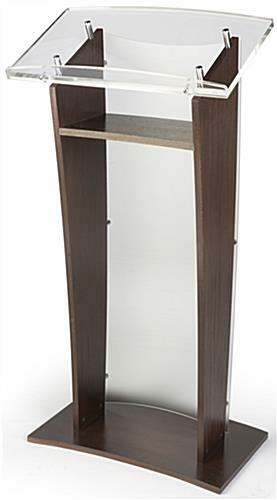 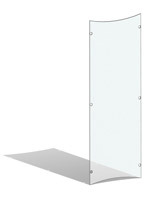 Buy this podium w/ acrylic panels and lacquered mahogany finish for upscale speaking engagements. 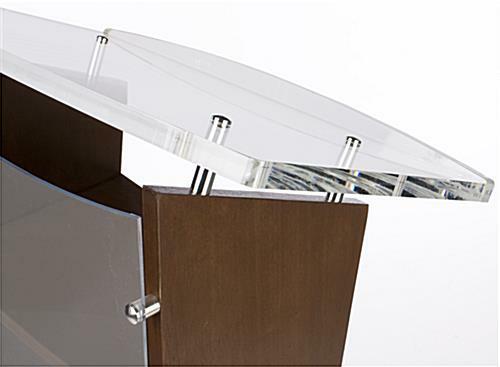 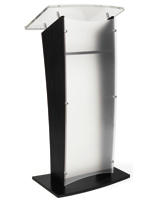 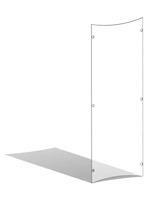 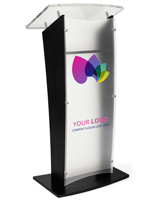 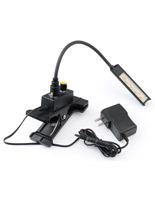 This modern lectern is handsome, but won't break the bank!